A Baltimore Police officer shot at a man in District Heights after he caught him stealing his guns. News4's Tracee Wilkins reports. 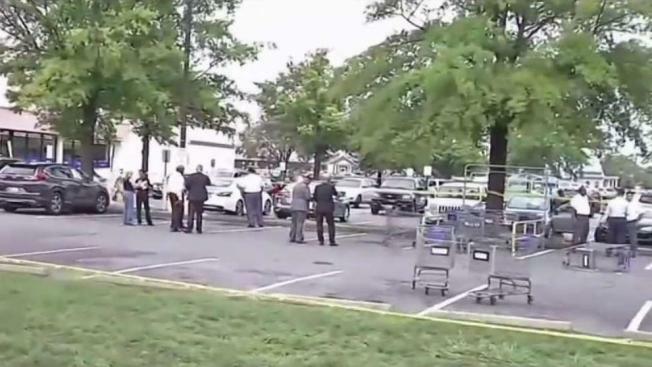 A Baltimore police officer shot at a man at a shopping center in District Heights, Maryland, after he saw the man breaking into his truck and stealing a bag full of guns, police say. Prince George's County police believe the man followed the officer after they both went to a gun range in Upper Marlboro. The officer, whose name was not released, went to the gun range on Friday. Police believe the man also was there and followed him. The officer parked his truck to go to a TGI Friday's in the 5800 block of Silver Hill Road in District Heights. That's when the man broke into the officer's personally owned truck and took several guns, some of which were high-powered. The officer confronted him and fired at him in the shopping center. The man crashed his car but was able to get away. The search for the man is ongoing. Police found the guns and the man's car. The officer is on paid administrative leave. Baltimore police will determine if the gunfire was warranted. It wasn't immediately clear it the suspect was shot.